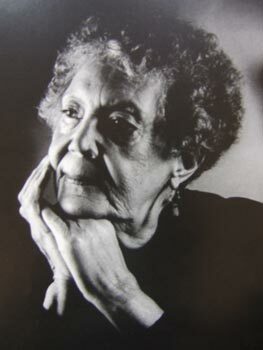 Elizabeth Catlett is a landmark American artist with a substantial body of work constituting her dedication to social justice and the rights of minorities and women has had a remarkable career spanning most of the 20th century. Her personal history and her art parallel the history making events of US history. Three of her grandparents had been slaves, and she was born in the midst of racial segregation in Washington, DC. An exceptionally bright student, she won a competitive scholarship to study art at what was then Carnegie Technical Institute (now Carnegie Mellon University) in Pittsburgh, but was denied admission because of her race. She went on to earn her bachelor’s degree at Howard University, a renowned historically black university. After her graduation in 1935, she worked as a muralist for the Works Progress Administration where she was drawn to the Mexican muralist tradition which advocated the socially and politically transformative power of art. Ms. Catlett then proceeded to graduate school at the University of Iowa, where she studied with the iconic American artist Grant Wood who encouraged her to work in the medium of sculpture. At Iowa, she began to focus on conveying the African-American experience through her art and she has stated that one of her primary goals is to “present black people in their beauty and dignity for ourselves and others to understand and enjoy”. Her work began to attract national attention, with her master’s degree project winning first prize in a national competition in 1940. She continued her career in New Orleans and New York City, eventually receiving a fellowship from the Rosenwald Fund, which allowed her to study in Mexico, a turning point in her life and career. 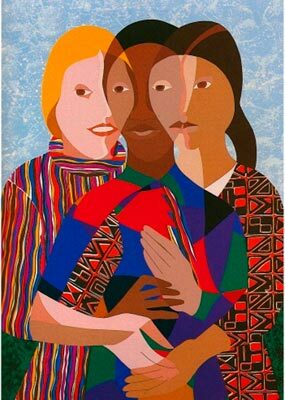 She married the Mexican painter Francisco Mora, and became an advocate for social causes, depicting the conditions of Mexican life in her art. Because of her advocacy of a progressive social agenda, she was investigated by the House Committee on Un-American Activities in the 1950s. She became a Mexican citizen in 1962, while continuing to champion the civil rights movement in the United States. At the same time, she became the first woman to teach in and head the sculpture department at the National School of Fine Arts in Mexico. Speaking with great power and passion through her art, Elizabeth Catlett has created powerful portrayals of defiance, endurance, dignity, and tenderness. Her works have been exhibited around the world and can be found in the collections of numerous private collectors, museums and cultural centers.